The Spy Who Dumped Me Movie Best friends. Semi-professional spies. 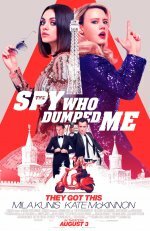 The Spy Who Dumped Me release date was Friday, August 3, 2018. This was a Nationwide in theaters release.